Traveler's Notebook- Moving Back In! It was only a matter of time until I moved back into my Traveler's Notebook. 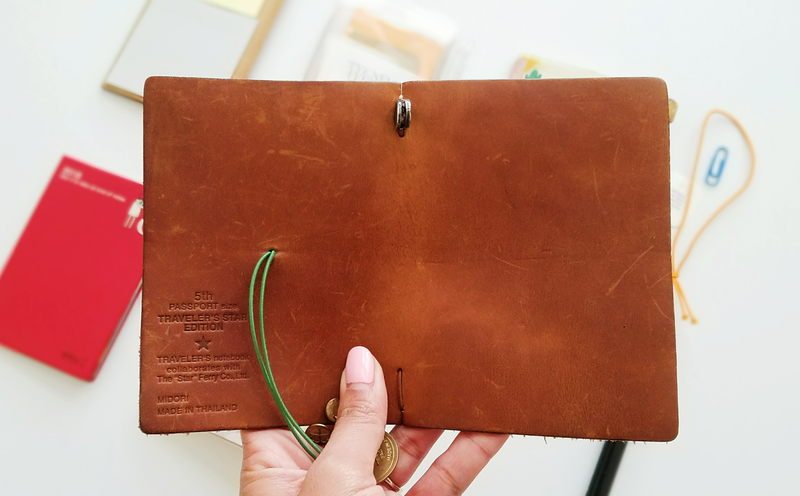 Every time I try to experiment with another notebook setup, my heart keeps tugging back to my little passport size Midori. Maybe my fellow Traveler's Notebook users can relate to this feeling as well. This past week has been pretty productive, I'd say. For 2018, I've decided to stick with the Midori Traveler's Notebook as my EDC (everyday carry). The inserts have remained somewhat the same as last year's setup. Can you believe how nice my baby still looks?? I first purchased this Camel Star Edition back in 2014, and the cover is still just as beautiful to me. Since then my passport Midori has gained a few new scratches here and there, but for the most part it's still in great condition! There was a point in time, though, where I would baby this Traveler's Notebook and handle it so delicately. But then I thought to myself, "What's the use of babying it when it's meant to be handled for everyday use?" Any imperfections would only add to its charm. A favorite accessory I've been enjoying is this Midori Brass Pen. 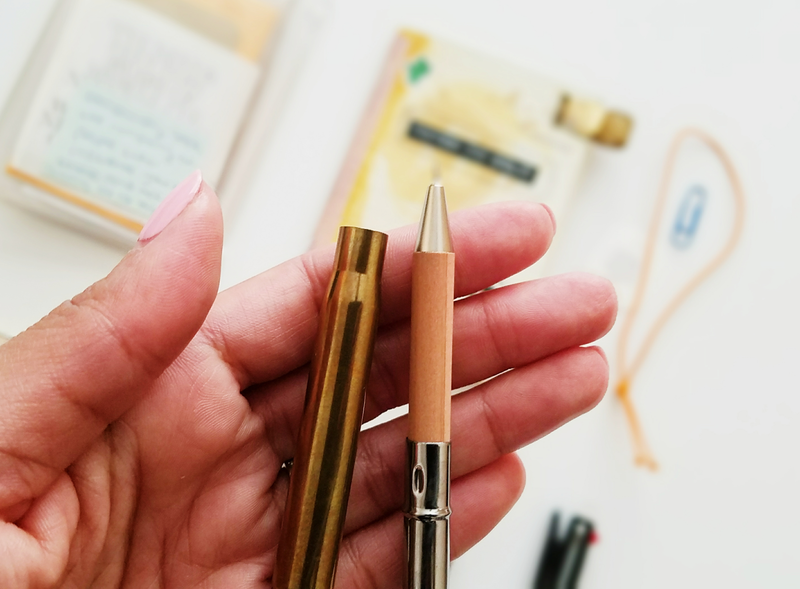 It doesn't write any better than your standard ballpoint pen, but the compact size and light weight, brass barrel makes it fun to carry around. Plus, it compliments the leather cover so well. Don't you think? Last week I visited Maido, my favorite stationery store here in San Jose. Of course I splurged on a few more goods for 2018 TN setup. If you're curious to see a little preview, here's a video I shared on the Seaweed Kisses YouTube channel. I'm curious to know, do you use an everyday carry notebook as well? If so, feel free to share details! If you enjoyed this post, or this blog, please consider supporting Seaweed Kisses on Patreon. Your pledges help keep the creative flow going! 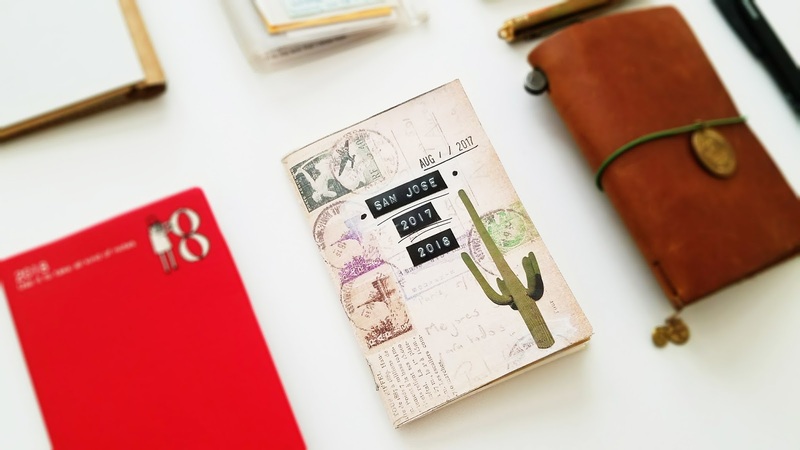 Plus, you'll get gain exclusive access to Patreon Only Traveler's Notebook and Self Love Journaling posts/videos. Become a Patron Now! I've recently splurged on just the Midori MD notebooks in A5 (love the paper and large format so much!) 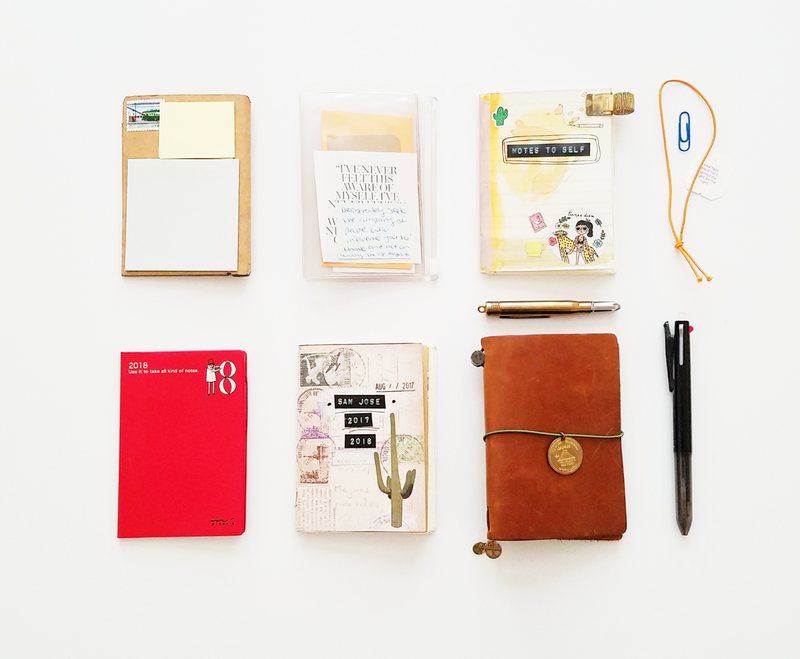 but there's something about these smaller traveler's notebooks that keeps calling to me! <3 Maybe once I've got any concrete travel plans this year I'll cave and get myself one, they look gorgeous! It looks so good. Even better than a new one. I really like tha patina! I can't decide to use moleskine or travelersnotebook as my everyday sketchbook. Any advice please? 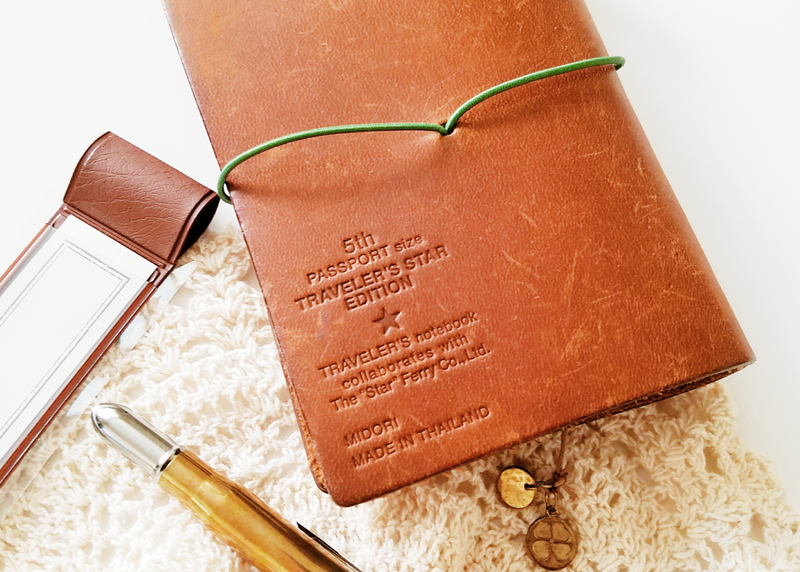 I have the Traveller's Notebook and just love the feel of it. I tend to scribble nots by the phone or by the computer hitch I then misplace so I am trying to use my Notebook more. I did buy it with the idea of sketching in it but I am disappointed that the paper isn't thick enough for ink. What do you think? Just yesterday I was in an art supply shop thinking I would buy some heavier paper and make my own little book. No need to bind it as yet because the paper can just slip behind the elastic. What do you think?